The Lumia for everyone? The 720 slots neatly into the Lumia line of Windows Phone smartphones. The differences are not immediately apparent to the buyer when you consider the cheaper Lumias. We will evaluate this 4.3-inch device and whether it would be smart buy or not. A well designed and beautifully crafted smartphone, which packs a stunning camera for the price point. Windows Phone 8 is its Achilles heel, however. If you want a good smartphone with above average capabilities basics and don’t want to pay the earth this may well be it. If you’re hoping for an app-rich experience look to Android, BlackBerry and iOS. I began this review saying that, at a glance, the Nokia Lumia 720 looked like the perfect Windows Phone handset. Now, I admit that the phone isn’t perfect- after all, it suffers from some drawbacks including low RAM (that limits the apps you can download) and a low resolution display. But in spite of that, I have no hesitation in saying that the Lumia 720 is a very good phone that’s worth buying if you don’t mind the few drawbacks that it has. If you’re looking for alternatives within the Windows Phone family, you could consider the Nokia Lumia 820 that offers more RAM and a more powerful processor but also costs about Rs. 5,500 more. On the other hand, you could look at the Nokia Lumia 620 that has a smaller display and a less powerful battery but also costs about Rs. 4,000 less. Alternatively, if Windows Phone is not a necessity, look at the Xolo X1000, a very good Android smartphone at around the same price. The Nokia Lumia 720 is priced at roughly Rs 18,200 and will go head on with the Sony Xperia L and even the Samsung Galaxy Grand. We haven’t reviewed the Xperia L yet, but looking at the specifications, we can safely say that the Lumia 720 is slimmer and lighter, and will have a much better display and battery life. In that respect, the Lumia does make a better buy. The only thing holding us back is the 512MB of RAM, which will restrict you from installing many good apps that would typically need at least 1GB to run. If gaming is not a priority, then it’s still a very good option. For those who don’t mind a bulkier – but more powerful – handset, there’s always the Galaxy Grand for a grand more. 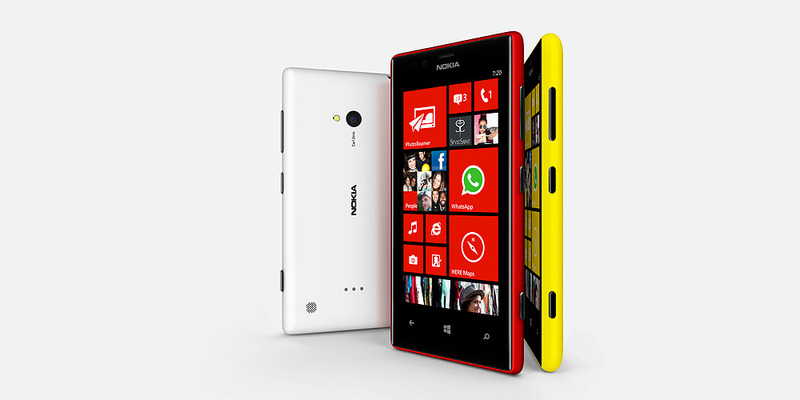 The Lumia 720 is quite a looker and comes in variety of bold colours. Its multimedia performance and screen are very good. It has got enough firepower to offer fluid WP8 experience. However, it's the camera's outstanding low-light performance that sets it apart from the crowd. Both the Lumia 720 and its rival HTC 8S are available for Rs 17,900. However, be it camera, display, or exclusive apps, the 720 come across as a better deal. The Lumia 720 is a mid-range Windows Phone 8 handset - bigger and better built than the cheaper Lumia 620 and Lumia 520 phones,but a lot less expensive than the Lumia 920 and Lumia 820 Windows phones it most resembles. As such this could be a critical release for Nokia and Microsoft: a Windows Phone 8 smartphone that is high quality but affordable. S4 Plus MSM8227: Mid-range, 28nm Dual Core SoC clocked at 1.0 Ghz for Smartphones.» Further information can be found in our Comparison of Mobile Processsors.